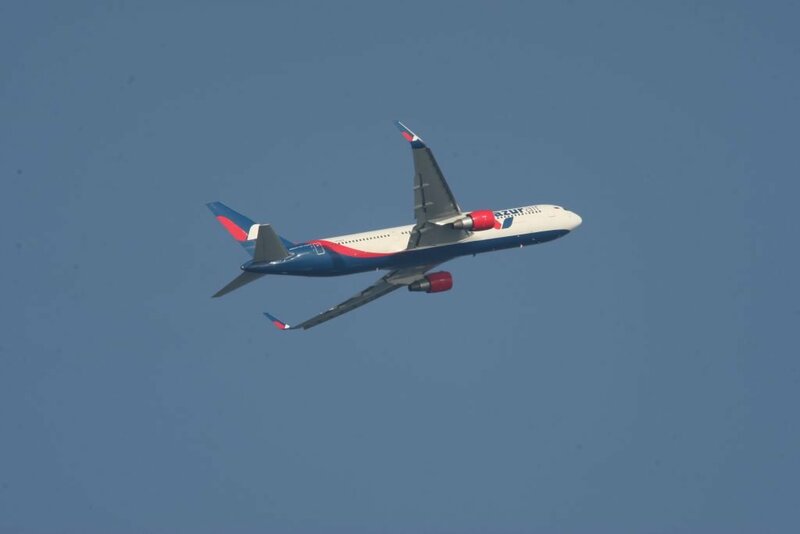 Flying Si recently spent time on a spotting trip to Antalya in Turkey, one of the top spotting holiday destinations. He offered this trip report and photographs. Antalya has for many years been on my “to go” list. I had even pencilled in a visit last year. But tensions between Russia and Turkey had resulted in a massive reduction in Russian flights, so I decided to wait another year in the hope the situation improved. Upon looking at Flightradar24 it soon became obvious that things where back to normal, so flights and hotels were booked. My carrier of choice was Turkish Airlines. The return cost was £246.00, but with a bit of prior planning I am confident you should be able to get return flights for under £200.00 from the UK. The aircraft was an Airbus A321 with Sharklets and was an excellent flight, with the added bonus of a full entertainment system with plenty of films to view. Now, Turkish have a rather handy 22:15 night flight. This means you don’t have to take an extra day’s work holiday. You will arrive at Istanbul at a rather early 4am. Though a bit tough on the system, it allowed me a nice 6 hours’ layover before my transfer to Antalya, and plenty of time to enjoy the goodies at Ataturk airport. I would like to point out how organised and well-run Ataturk airport is. I had heard stories of huge queues, unhelpful staff and missed connections. I encountered none of this, and was through all formalities and security and in the domestic terminal within 1 hour and 10 mins. That said I didn’t have any hold baggage to worry about. There’s plenty of viewing available in the domestic terminal. It has glass windows looking over the ramp and runway, but photos though them are not possible due to dots on the windows. I did manage to find a smoking area which was outside, but I would not suggest a long stay there unless you enjoy smoking 20 a day! If you pick the right spot you can sit and watch both arrivals and departures. The airport provides 2 hours free WiFi per week, so you are able to sit down with your phone on FR24 and log away. I have been told that it’s not a good idea to get big cameras or binoculars out in the terminal, so I didn’t risk it. I was able to get memory photos using my iPhone. 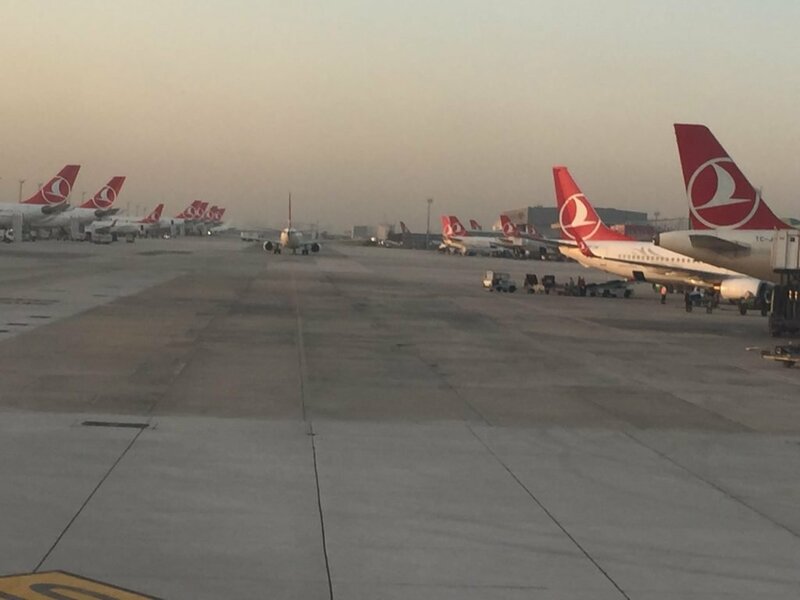 Of course, you can make a massive dent in your Turkish fleet needs, including the less common A319s. During this part of my visit it was 80% Turkish, with four MNG freighters appearing. 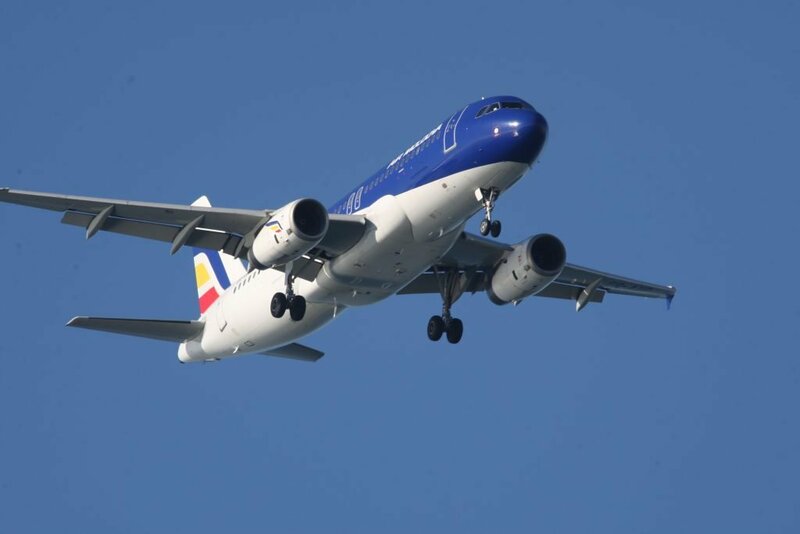 Additional highlights were a Belavia E170 and Astana A320. It was then off on the quick 1 hour 20 min flight to Antalya. I was very happy as the aircraft had been swapped from the scheduled B738 to a B739, so another new “flight” aircraft ticked off my list. 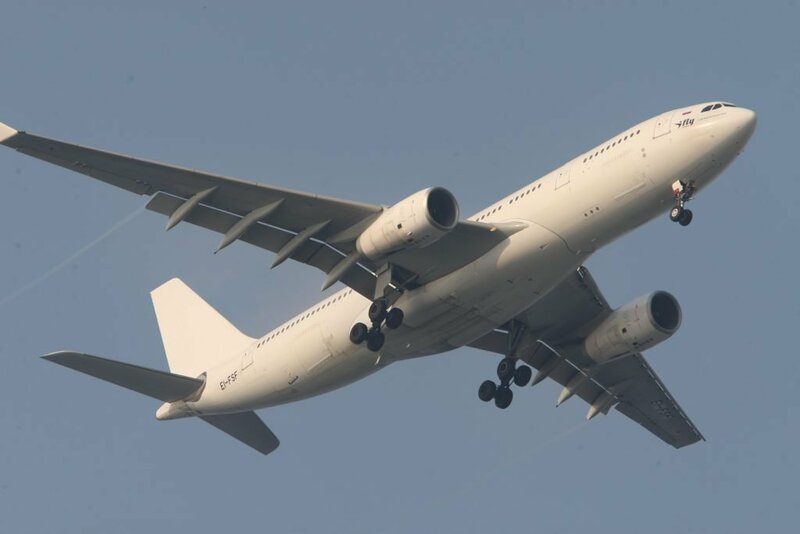 The flight was excellent again, and arrived on time without any fuss. 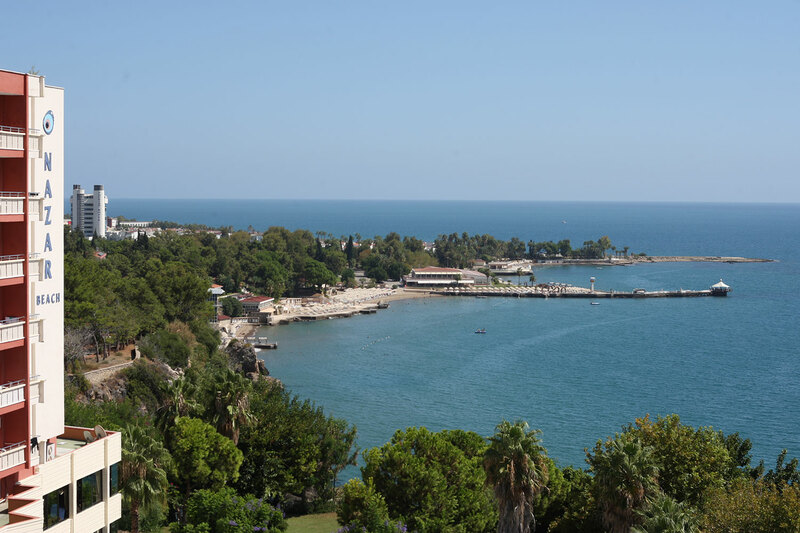 Upon arriving at Antalya, if you have no hold baggage you can pretty much just walk out the terminal and off you go. Fantastic! There are plenty of transfers available, but I had pre-ordered mine with a company called Rainbow. It cost around £25.00 in total for both the collection and return at the end of my trip. My hotel for the next four nights was to be the well-known spotters haunt, The Lara Hotel. I had pre-booked a room on the 5th floor. All rooms overlook the sea but, as I was to soon find out, not all rooms are ideal. Upon checking in at 14:00 I went to my room to discover that even though on the 5th floor, the room was next to a brick wall, thus making anything to my left completely out of sight. After a trip back to reception and only a 15-minute wait, the hotel put me in a far better room. Though on the 4th floor, it was four rooms further to the right of the offending wall. The view was fantastic. The days of aircraft landing all day on 36C over the hotel seem to be long gone. Today, dual arrivals on both runways, with a swap of direction each day, are the norm. I found that between midnight and 10am aircraft were landing over the hotel from the direction of the sea. Before 08.00 they seemed to use only one runway, but after that they split to dual use. Domestic carriers seemed to use runway 36C, with other carriers on 36R. The most frustrating part was around 10am when they then change runways and depart over the hotel. This means that for about 90 minutes you only get repeats. However, at least it gave you a break from the spotting and chance to have a look round. At around 5pm they swap back to landing from the sea. General views and photography can be good depending on the runway in use. Morning landing shots are excelling between 8am-10am. A 70-200mm lens is ideal. I found that aircraft are almost directly over the top for perfect photos. Between 10am-2pm photos are difficult as you are shooting into the sun. 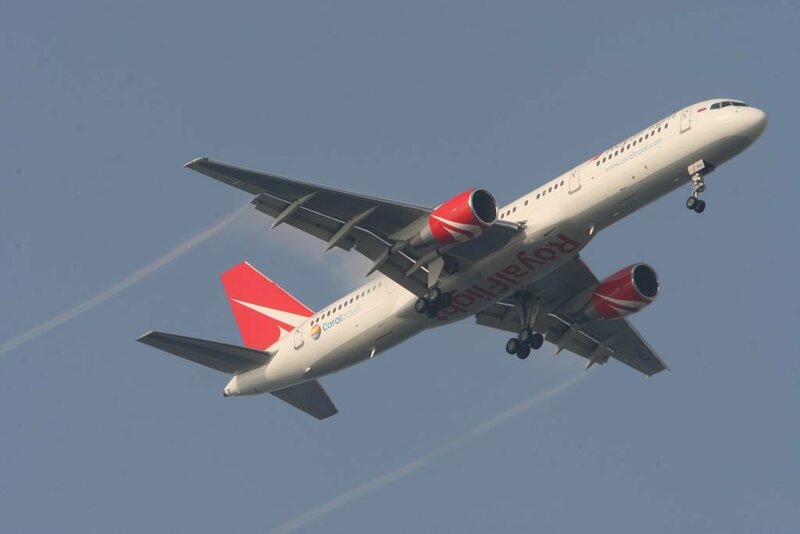 After that, if you are lucky enough to have a 400mm and extender you can get half decent photos of departures from 18L. Regarding the aircraft on show, I can explain thm in one word: fantastic! I logged over 30 Russian charters during my four day stay. There were lots of other Eastern European charters from the likes of Ukraine, Romania, Belarus, Czech Republic and Kazakhstan to name a few. At one point we had no fewer than four Russian charter aircraft on approach at the same time. In addition, you can chip away at your Sun Express, AnadoluJet, Pegasus, Onur Air, AtlasGlobal, Tailwind, Freebird and Corendon fleets. Plus, of course, numerous Turkish Airlines aircraft, who shuttle everything from B737 to 777. One of the unexpected bonuses was the discovery that the main air route from Saudi Arabia/Egypt/Israel to Istanbul and Europe goes right over the hotel. I was able to log some real gems, including Egyptair E175s, Arkia E190, Libyan A330, Flynas A320s, and no fewer than eight Saudia A330 regionals fleet. On to the hotel itself. The room was small but comfortable. The price I paid was an amazing £115 for four nights, half board! There is free WiFi throughout the hotel, so FR24 can be used without problem. I booked the hotel online direct with the hotel. Other websites were £160-£180 bed & breakfast. The only downside was the food, with very limited choice. The fussier customer would struggle. Drinks were a reasonable price, with a pint of beer at £3.00. The hotel does have a nice outside bar and I spent some very happy evenings sipping beer watching aircraft flyover overhead. I did have a quick look outside the hotel for food, but most options were closed so I cannot comment on cost or food standard. After four great days it was back to Antalya airport. My flight was domestic to Istanbul, so I was lucky to miss the larger queues that the international terminal suffers. 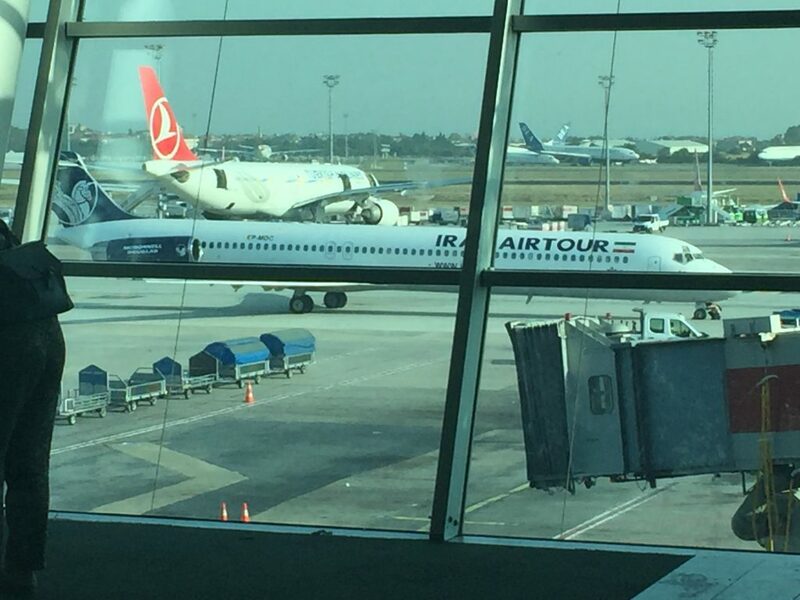 Again, transfer was easy at Istanbul and I was able to log some great aircraft including an Iran Air Tours MD-80, ATA Airlines A320 and Iran Aseman A320. This was a fitting finale to a very successful trip. Views from the International terminal at Ataturk are very good, with views of all movements possible. 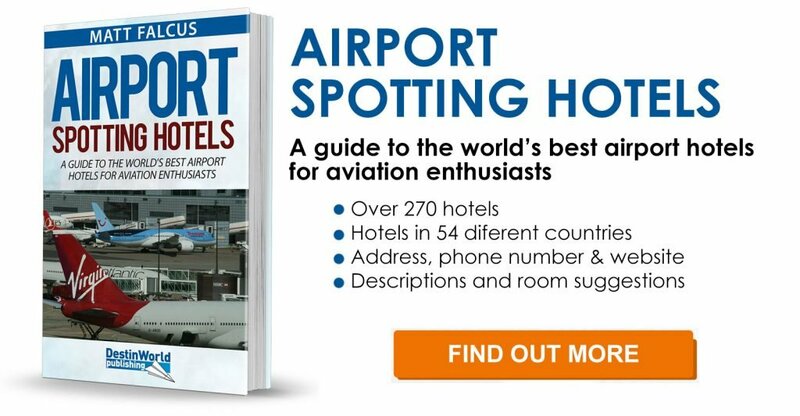 So, over 500 aircraft logged and in the book, and one very happy spotter! If you turn left out of the hotel there are several Turkish restaurants. The first one you come to on the right is pretty good value, and very popular with Turks. There are a few more on the left overlooking the sea. I have booked to stay at The Lara Hotel in September so thanks for your report, it is really useful. I just wondered whether there are any views out of the North side of the hotel or whether you found anywhere else to see aircraft which have landed from the North, departing to the North again when the airport changes runways in the afternoon? Thanks Steve. This report was by another contributor, Si, so hopefully he will see your comment and reply.